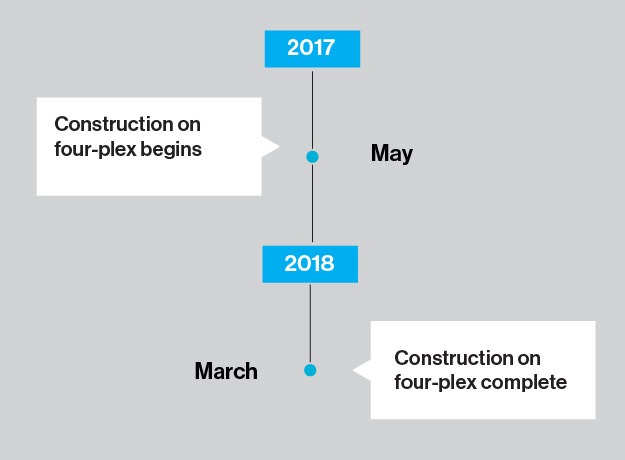 Habitat for Humanity began construction on a four-plex in the northwest Calgary community of Bowness in May 2017 and the homes are expected to be complete in March 2018.
Who purchases Habitat for Humanity Homes? 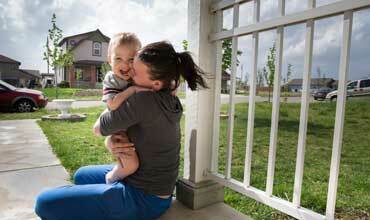 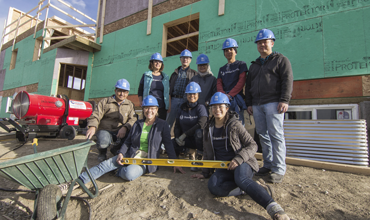 Families who partner with Habitat to achieve home ownership are comprised of employed parents and their children. 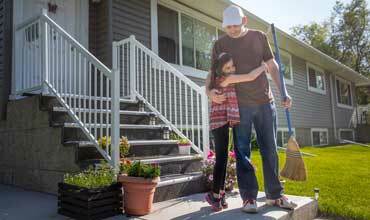 Parents have all demonstrated employment stability – they are employed in a range of roles. 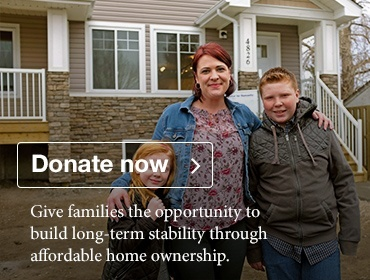 Our current homeowners include paralegals, construction workers, transit operators, bank tellers, customer service and sales representatives, and production workers. 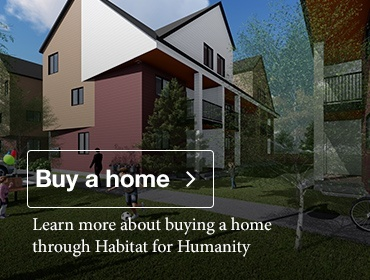 How did Habitat select Bowness for this development? 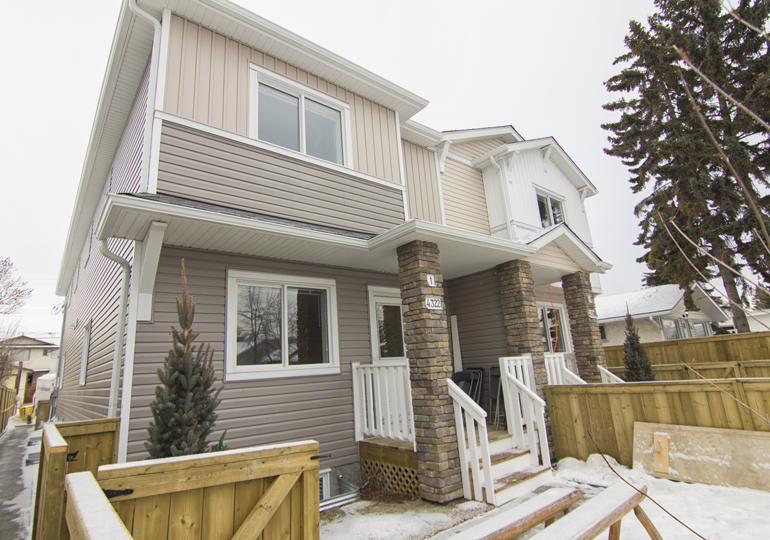 Learn about owning a home in Bowness through our Affordable Mortgage.